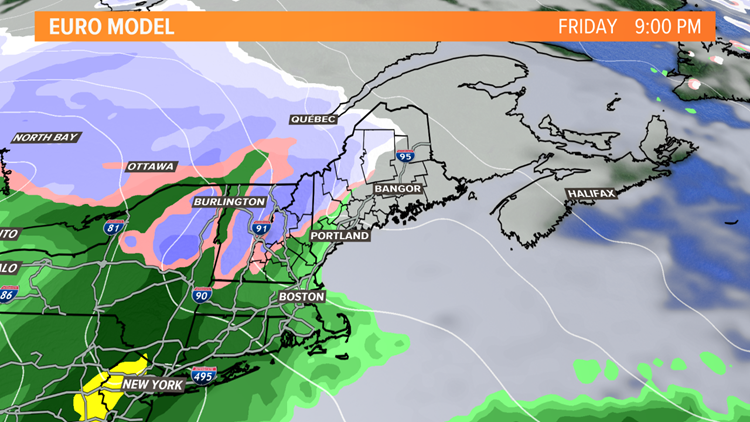 A storm system will bring rain and snow to the region Friday night. It wouldn't be a weekend without a storm. 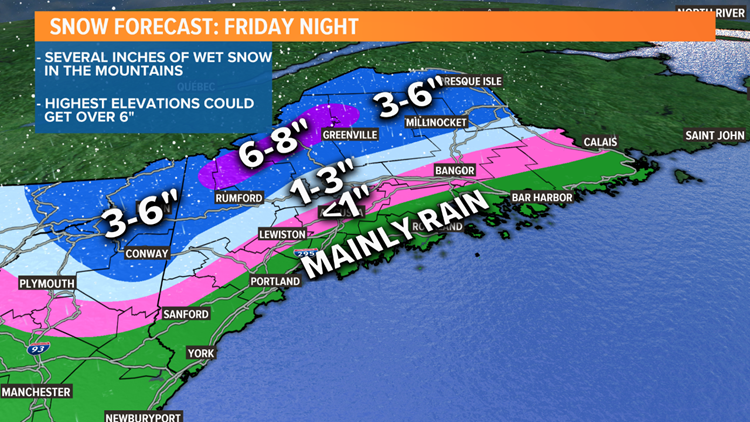 Another one will nail us Friday night with rain and snow. When it departs, serious wind and cold can be expected again. You don't have to worry about tomorrow, precipitation will hold off until late Friday evening. It will most likely start as rain along the coast, but over the interior, snow will be a bigger player. The storm will peak after midnight and then taper off early Saturday morning. The atmosphere will be warming during that time. Many locations, outside of the mountains, will change to rain during the pre-dawn hours. Impressive snow amounts are expected in the mountains. In fact, the higher terrain will see over half a foot. A few inches can be expected in the foothills before the changeover. 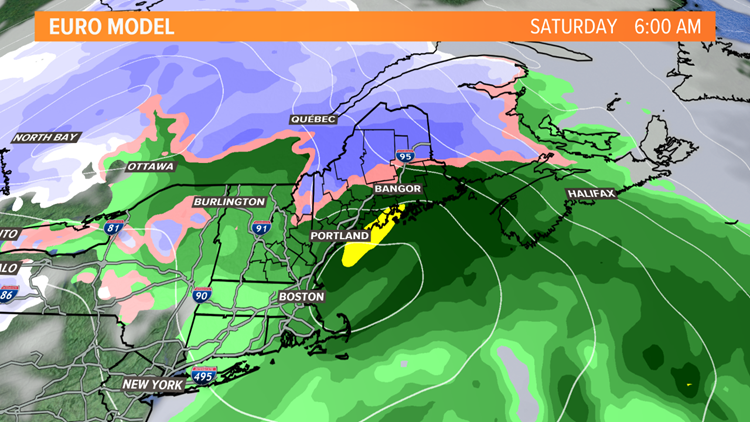 A small coating will be possible on grass or decks in Bangor, Augusta, and Lewiston, but the snow won't last too long and it will get washed away. When the precipitation shuts off, the wind will come blasting back into the Northeast. 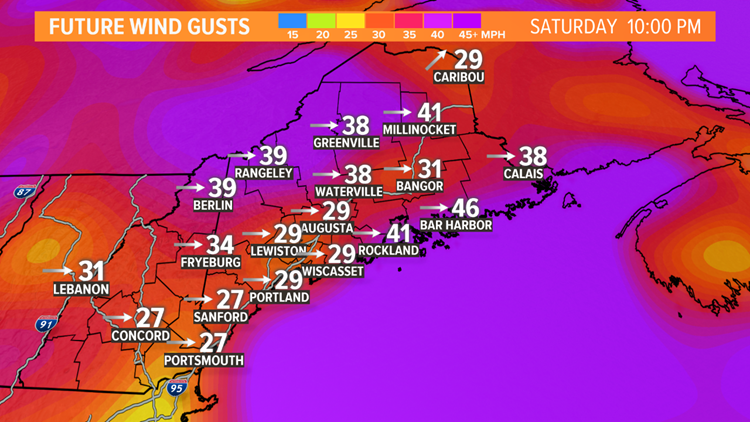 Gusts could top 40 mph Saturday evening and more power outages will be possible.